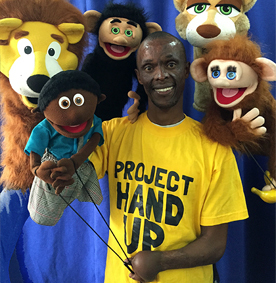 The story is the autobiographical journey of puppeteer and (now certified firefighter) Jose Njiuki as he deals with growing up different. Each phase of his life is contrasted with a fire safety or prevention message and each segment is punctuated with demonstrations and object lessons. We require $5000USD to complete the performance package which includes complete Kiswahili and English language translations, produce and rehearse the existing script and purchase the custom puppet characters and props. It’s a dynamic presentation that is sure to inspire change and save lives.